The Balkan Games resulted on the one hand from the growth of modern European sport and the unsatisfactory performances of the Balkan athletes at national and international level, and on the other hand, from a desire to bring the Balkan peoples together in peace and concord. The Games were initiated in Athens in 1929 and increasingly became an integral part of the political, cultural and social life of the area. The common global reality is that when an athletic event is staged, attempted friendship seldom receives priority. 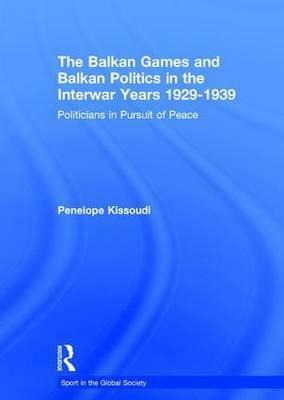 In the 1930s, however, the Balkan Games provided a rare example of an international athletic event bringing antagonistic states together in friendship. This consideration of the significance of the Balkan Games as an instrument of political optimism provides clear evidence of the occasional positive influence of sport in politics. The work is a case-study of interest to political and social scientists and to historians of Europe and sport.